BMW has announced that it will roll out Apple's Siri Eyes Free and Samsung's S Voice services as an option to all of its 2014 models. Those cars with its ConnectedDrive package will have the two voice control services included for free. Both services allow users to speak to their iPhone or Samsung Galaxy smartphone without having to take their hands off the steering wheel, or their eyes off the road. "With the latest update to BMW iDrive, both Apple Siri and Samsung S Voice can be accessed through the vehicle's voice command controls," a spokesperson from BMW said. "With a paired device, pressing and holding the steering wheel voice command button will engage the device's voice access. Pressing the steering wheel voice button without holding it will continue to access the vehicle's voice command functions. 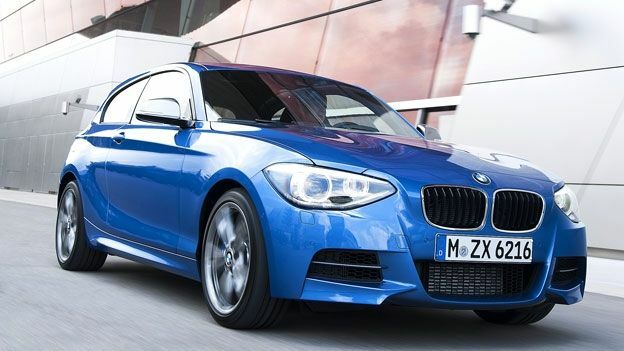 "The BMW voice command system itself has been enhanced to now include visual voice command suggestions. Once activated a banner across the top of the display offers prompts for when to speak and provides suggestions for what to say. The suggestions are tailored to the individual menu or function that the driver wishes to access." Honda began offering Siri Eyes Free in some of its US models earlier this year.